• 4.25 oz. Poplin, 65% Polyester / 35% Cotton. 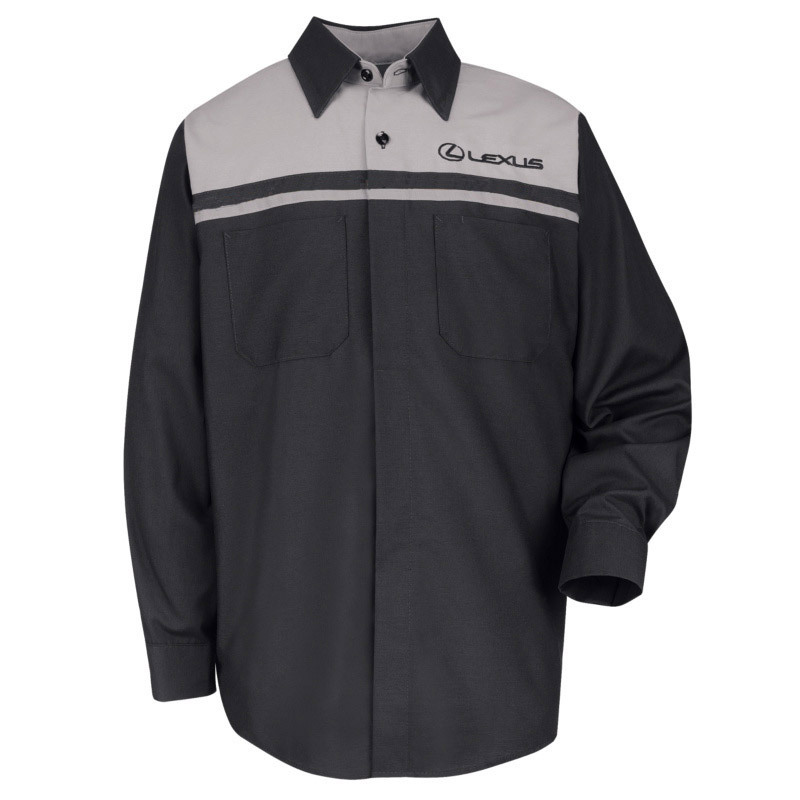 • Comfortable, breathable Touchtex™ Fabric keeps you dry while resisting stains. • Contrast Banded Collar with Sewn-In Collar Stays reinforce a polished, professional look. 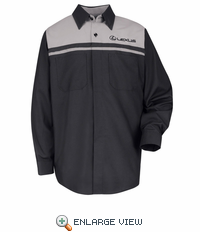 • Covered, no-scratch Button Placket keeps any paint job protected. • A handy Pocket on the chest keeps pens close at hand. • Cornerless Hex Pockets resist dirt and lint buildup while strategically placed Bartacks. • Double-stitched DuraSeams provide maximum strength so your uniform lasts longer. • Reflective Striping across front chest and back for improved visibility. • Stocked with Lexus logo on left chest and center back yoke.